After three years of working around Tennessee, helping to implement Common Core standards, this summer I took on a bigger challenge. An opportunity opened up to coach teachers in the new standards, something I was familiar with, but to coach inner-city charter school teachers in New Orleans--a demographic, a system, and a city with which I was inexperienced. Wanting to rise to this challenge, I bought several books on the urban classroom. 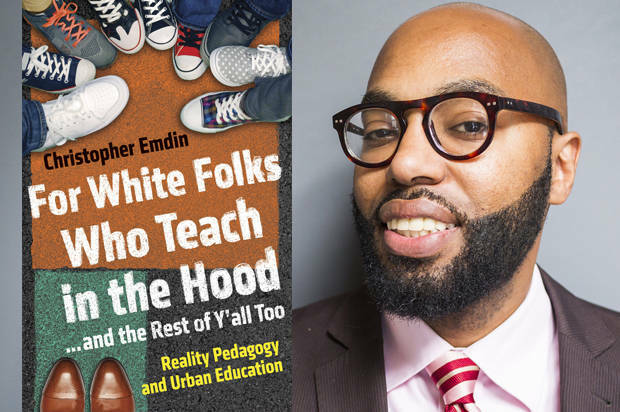 The best of the lot was Chris Emdin's For White Folks Who Teach in the Hood. Emdin's book addresses the legions of idealistic young, white college students who are drawn to inner-city education like sailors to a siren's song. THIS is where the need is, they hear, THIS is where individuals, families, and even communities can be transformed through good intentions, if not good teaching. Whether joining a national organization like Teach for America, or going off on their own (my motivation when I chose to focus on public education in the early 1990s), there are plenty of 'white folks' who see teaching in 'the hood' as a secular mission field. But intentions in the classroom can only go so far. Emdin, now a professor in the Teachers' College at Columbia University, has both the background as an inner-city teacher and the intellectual credentials to propose and support credible ideas for becoming a good urban teacher--no matter the race of the teacher or the students. Emdin reaches back into American education's clumsy efforts to subvert Native American culture through projects like the Carlisle School to coin a new term for urban, minority students: "neoindigenous." Emdin builds his case in the introduction, using the United Nations Declaration on the Rights of Indigenous Peoples as a guide. The indigenous are 'people whose existence in a certain geographic location predates the region's conquering or occupation by a colonial or imperialist power, and who see themselves as, or have been positioned as, separate from those who are politically or socially in command of the region' (7-8). The first part of this definition seems quite removed from the experience of urban youth. In most cases they have migrated to the inner cities within the past 100 years, either through the Great Migration of African-Americans, or of more recent influxes of Hispanic, African, and Asian immigrants. It is the second pat of the definition--the idea of groups "positioned as separate from those who are...in command" that Emdin uses as the key to his definition. 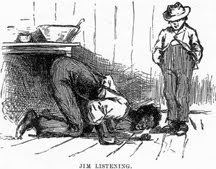 In missionary parlance, what Emdin is telling "white folks who teach in the hood," is that the kids are the natives, and that the teachers will find traction in these communities only when they start to show respect for these fundamental differences and show that the learning can go both ways. Put more clearly, the idea of transformative change that a motivated teacher might bring into an urban classroom, might itself be misguided or worse. "The idea that students are in need of "cleaning up" presumes that they are dirty. The aim of "giving them a better life" indicates that their present life has little or no value. The idea that one individual or school can give students "a life" emanates from a problematic savior complex that results i making students, their varied experiences, their emotions, and the good in their communities invisible. So invisible, in fact, that the chief way to teach urban youth of color more effectively--that is, to truly be in and in touch with their communities--is not seen as a viable option" (20-21). The eleven chapters that follow this introduction and re-definition offer specific ways that teachers can enhance their effectiveness by engaging with neoindigenous communities. He calls these proposals "reality pedagogy." Emdin begins this course in a strange place; by calling for "courage." Occasionally, in schools of all stripes, an "us vs. them" mindset crops up. Lots of conversations begin with the too-broad phrase, "these kids..." and the staff room can take an "if you're not with us you're against us" tone. This is particularly common, Emdin asserts, in urban schools, and he recounts his own first days as a middle school science teacher, feeling like he had to pick a side between the rambunctious youth and the stern teachers. "The key to getting students to be academically successful...is not to teach directly to the assessment or the curriculum, but to teach directly to the students. Every educator who works with the neoindigenous must first recognize their students' neoindigeneity and teach from the standpoint of an ally who is working with them to reclaim their humanity" (40). One of the places Emdin finds the most inspiration is in the experience of urban Pentecostal churches, and he mentions a number of techniques that he has adapted from the church experience for the classroom, including the use of call-and-response ("Amen" "Preach it") and the mixture of joy in music with the solemnity of the altar call. In other words, the classroom should not be a monotonous place, but one in which students are engaged and encouraged to participate. He finds inspiration in other places, too, including developing questioning strategies based on exchanges at black barbershops, or organizing summits where students offer in-depth feedback on teaching practices in the method of the "cogen" or "rap cypher." A walk through an urban neighborhood is, with Emdin's insights, a master class in motivating and managing inner-city youth. Moreover, participation at church, on a basketball court, or at a block party, gives the teacher important credibility that can translate to the classroom and pay off better than the best-planned lesson. The book is full of other strong suggestions. For example, competition is a drive felt keenly in neoindigenous communities, and it can be a powerful tool for teaching. One other new term I learned, "cosmopolitanism," showed that these neoindigenous students often grow up with a stronger sense of responsibility to others within the family or neighborhood than kids who grow up in air-conditioned McMansions. This understanding can be a powerful tool for motivating students and ensuring that many students catch on. The crack about McMansions, above, actually describes most of the neighborhoods in my school's zone. I teach in Southern Surburbia, another world, culturally, from the New York City neighborhoods that Emdin describes in his experiences, but there is much to learn here. First, whether they are minority, English-language learners, rednecks, or preps, teenagers are a tribe, and they deserve to be treated as such. That means doing research where the teens are--whether that be church (a big cultural draw in my community is a handful of regional megachurches), the movies, or virtual gaming worlds. There is much to learn about what motivates students by studying where they go--and how they communicate there. Second, in Emdin's discussion of the "cogen," I found ways that every classroom could be improved by deliberate questioning of students and giving them greater responsibility. So many times, when a classroom isn't going well, teachers are tempted to withdraw into themselves and play "us vs them." Instead, it is a good idea to ask, "What's going on?" and use feedback from students to take steps toward improvement. It's the kids' classroom, too, and they want it to be a place of learning, too. Third, Emdin has a true respect for the aesthetics of the inner city. He sees in the way students dress an aesthetic that was as shocking to me as it was to the teacher to whom he made the astonishing recommendation to wear nicer shoes. One recommendation he makes in the book is to paint one wall of the classroom black, then allow students to use chalk to tag it and make the space their own. There are so many more great ideas in this book. This blog barely scratches the surface. I'm not an urban teacher--I have taught in suburbia the past twelve years and at a rural high school before that. Still, I found much in Emdin's book to put into practice in my classroom.